Good news for Razer Phone users, latest Oreo Developer Preview Image is ready for download. It is the Developer test preview firmware for Razer Phone. Today we share Developer Preview Android 8.1 OREO Firmware on Razer Phone. Razer officially shares this update on their developer websites. If you too much excited for Android 8.1 OREO update then follow the steps and update Razer Phone Android 8.1 OREO. The company has skipped the Android 8.0 Oreo update, directly send Android 8.1 OREO for Razer Phone. So download and install Android 8.1 OREO Developer Preview On Razer Phone. Yesterday Razer Android 8.1 OREO firmware On Razer Phone, This Developer Preview ROM can be flashed in all variant device. This is beta test firmware so, some of the bugs in the ROM and you will get much more changes in next update. Right now the only way to install Android 8.1 OREO Developer Preview on Razer Phone, that we share below. Now you can easily install Razer Phone Android Oreo update. This latest Android 8.1 update brings same as pixel UI, the brand does not change any fancy skins or overlays that run on top of Android. Also, this update change revamped notification section, UI improvements and much more. 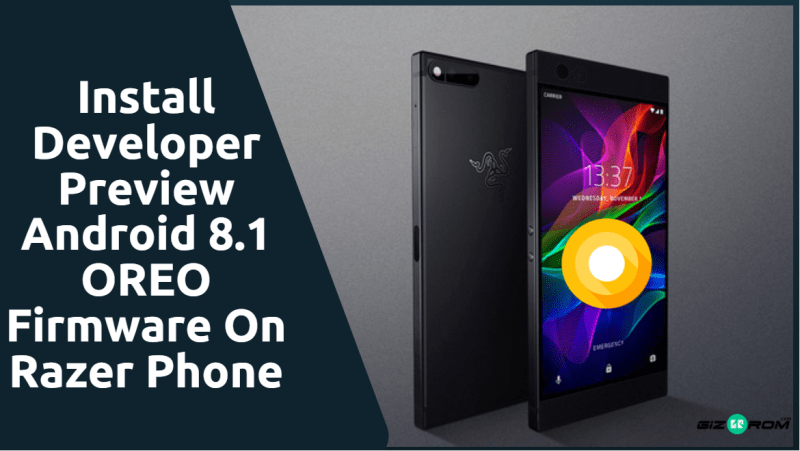 Download Android 8.1 OREO Firmware On Razer Phone and keep update your device with the latest update. Much more changes you will see here if you want to know every feature then install Android 8.1 OREO Developer Preview on Razer Phone. Just follow this post and install Developer Preview Android 8.1 OREO Firmware On Razer Phone. Many things should have been changed in this build, you can use it for daily usage and Oreo experience. If you are a Razer Phone user you must install this official ROM. This Android 8.1 OREO update brings the latest February security patches, in this update VoLTE, Wi-Fi calling, does not work. 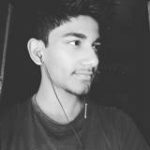 In order to flash OREO need to ADB driver and unlock bootloader of Razer Phone. So let’s go to the instruction. Download Android 8.1 Oreo firmware from below. This is Developer Preview OREO ROM for Razer Phone, so need to unlock bootloader of Razer Phone. If you already do this then skip this step either follow full steps below. Download the adb_fastboot_1.4.1_portable.zip and Oreo image from above. Then extract both files on your PC. Now, turn off your phone and boot into Bootloader mode by press and holding volume down after plugin USB cable. Now open Command Prompt (CMD) windows in adb_fastboot_1.4.1_portable folder by Shift + Mouse Right click. If successfully connected your device will be on the list. After that type this command to unlock the bootloader. Your Razer Phone will show you a confirmation screen. Use the Volume Up and Volume Down buttons and select “yes“. Your phone will reboot. Again reboot the device in Bootloader mode and Open the Android 8.1 Developer Preview (downloaded before) file folder. Open a terminal on your computer and navigate to the Android 8.1 Developer Preview (downloaded before) file folder. Now click and run the flash-all.bat from the extracted file folder. Once complete, reboot the device into the system. Now you have successfully update latest Android 8.1 OREO update on Razer Phone. If you have any problems comment in the comment box.